Are you planning a trip from Lisbon to Paris and having trouble sifting through your travel options? Lisbon is nearly 900 from Paris, which makes flying the most pragmatic choice by far. But if you prefer not to fly for some reason, travel by train or car is always a possibility and can be a good choice if you wish to travel through Spain or Southern France along the way. International carriers including Iberia, British Airways and Lufthansa and low-cost companies such as Easyjet offer several daily flights from Lisbon to Paris, arriving at Roissy-Charles de Gaulle Airport and Orly Airport. Lock in deals on flights from Lisbon to Paris at TripAdvisor. For a long, leisurely trip to Paris from Lisbon, you can take the Altaria night train to Hendaye in southwest France, then grab a high-speed TGV train to Paris. The trip will take roughly 20 hours, so it may be a good idea to break it up with a whirl around French Basque country. Driving From Lisbon to Paris? Driving will take a long time-- roughly 17 hours if you were to drive nonstop. It's best to make one or more stopovers along the way. Remember that when renting a car, you'll likely incur hefty fees by picking up the car in one country and dropping it off in another-- and don't forget the toll fees, either, when weighing the possibility of driving. 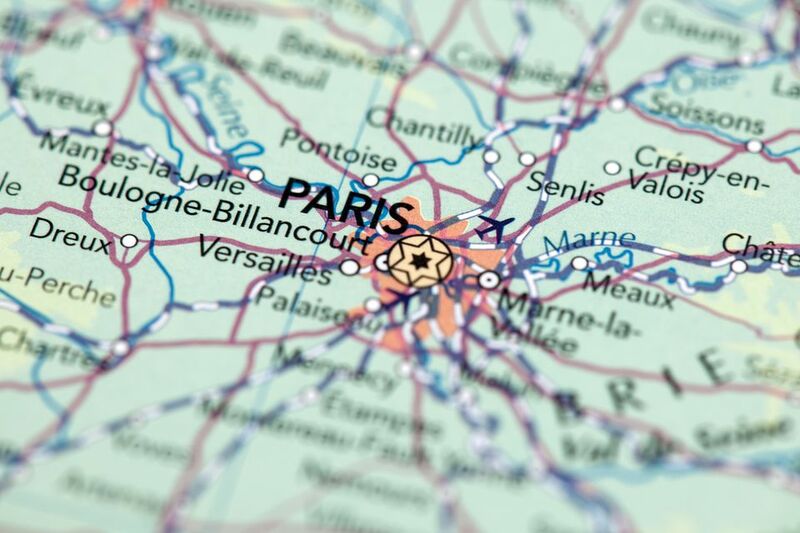 If you're arriving in Paris by plane, you'll need to figure out how to get to the center of the city from the airports.